Eat well! Eat happily! Eat gratefully! Every time you eat a meal, eat it heartily and happily, and please do remember to thank the Universe for it! Last night we dined at Rajdhani – a Rajasthani thali restaurant. 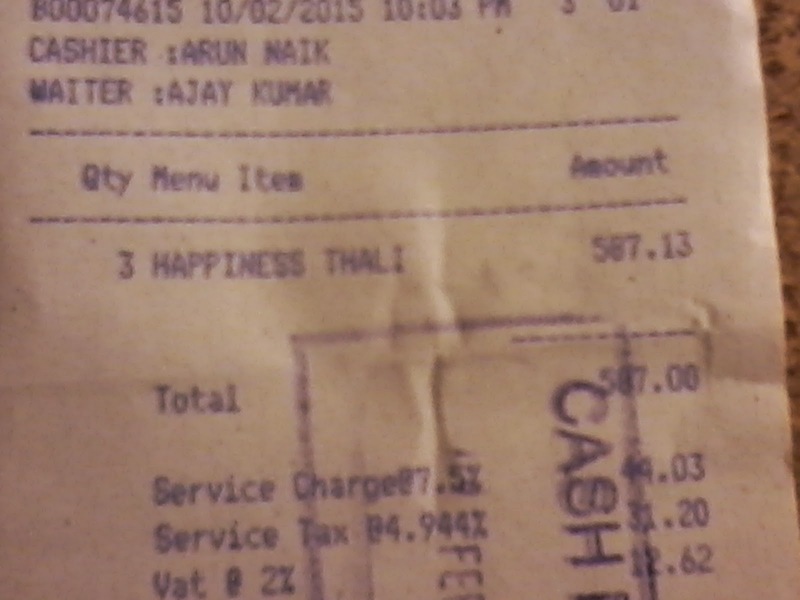 At the end of the meal, when the check arrived, I was amazed to see what they call their thali. They call it the Happiness Thali! It made me think. Isn’t every meal an opportunity to be happy and grateful to the Universe and its wonderful creations? Haven’t so many people toiled to make the meal possible for you? Isn’t the ability to have a meal, and digest it, a miracle – for, aren’t there so many people who are sleeping hungry or are having digestive disorders or are, sadly, dying of starvation? The problem with most of humanity that is able to have a meal whenever they want – which includes you and me – is that they take the meal for granted. These days, even at meal-time, we don’t spare our mobile phones. Our meals are had with no or inadequate attention to the food. It is almost as if eating is a chore. 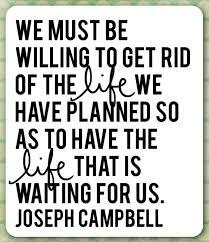 Which is why there are so many lifestyle-led health complications that people face. The right way to eat is to be mindful of each morsel, to enjoy the flavor and taste of what you are imbibing, to chew each mouthful and take it in slowly. As you do this, remain completely grateful for what you have. Even if you can’t count your blessings for all that you have in the other departments of your Life, feel humbled and grateful that you have this meal in front of you now. Know that unless an entire army of people – from the farmers who grew the crop to the workers who processed it in factories to the traders who sold it to you to your employer who pays you wages to be able to buy your groceries monthly to your family which gives you reason to have beautiful mealtimes to the person that cooked your meal to your parents who brought you into this world – had worked for you, you won’t be having food on your table. Having food to eat is a miracle. Every time you witness it, be aware, and celebrate it. Eat well. Eat happily. Eat gratefully! Author AVIS ViswanathanPosted on February 11, 2015 March 14, 2016 Categories Art of Living, Gratitude, Happiness, Happiness Thali, Humble, Inner Peace, Intelligent Living, Rajdhani, UniverseLeave a comment on Eat well! Eat happily! Eat gratefully!